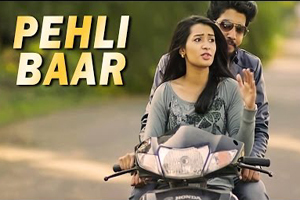 Hindi Lyrics 4 U: Lyrics Of "Pehli Baar" From Latest Album - Pehli Baar (2016). Lyrics Of "Pehli Baar" From Latest Album - Pehli Baar (2016). Beautiful romantic song sung, composed and written by Jiggra featuring him and Ashna. The video of this song is available on YouTube at the official channel Zee Music Company. This video is of 4 minutes 07 seconds duration.